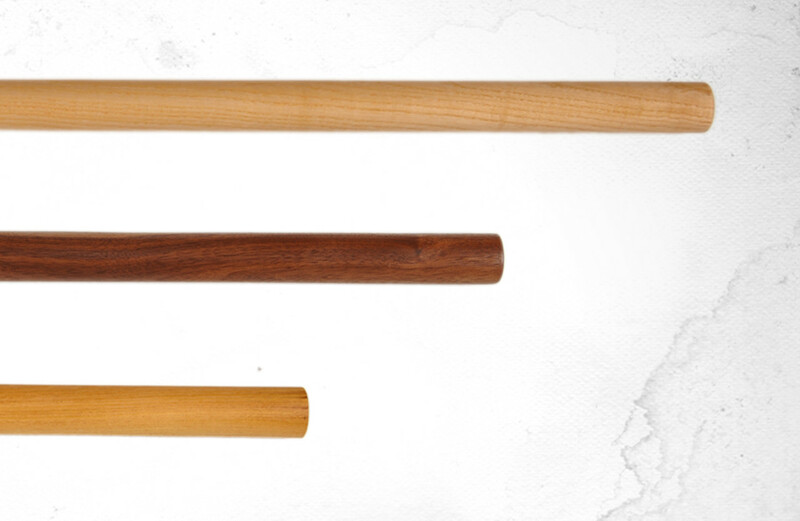 Fighting sticks in various lengths. 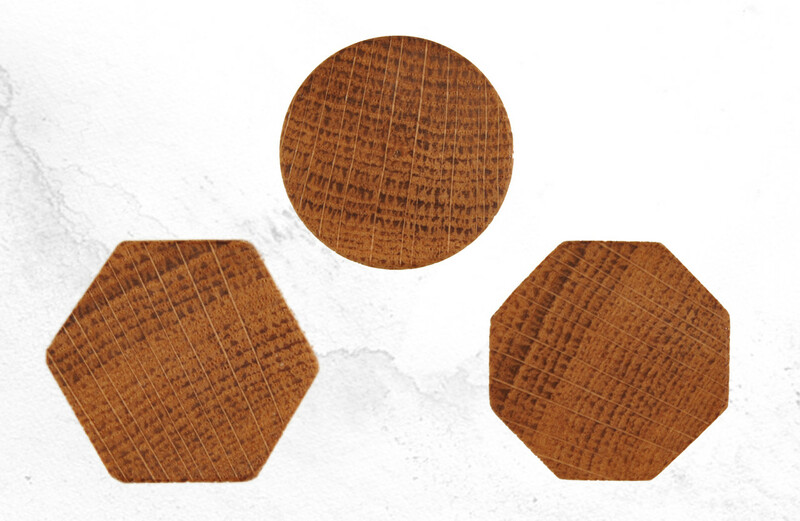 Finest selected woods are brought into the desired cross-section – even with a cone where requested. 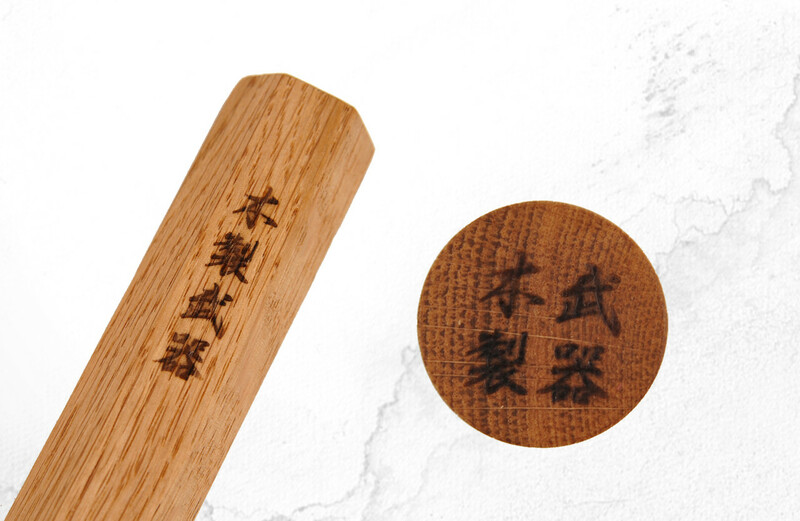 The ends can be decorated and are given an unobtrusive Kanji signature. 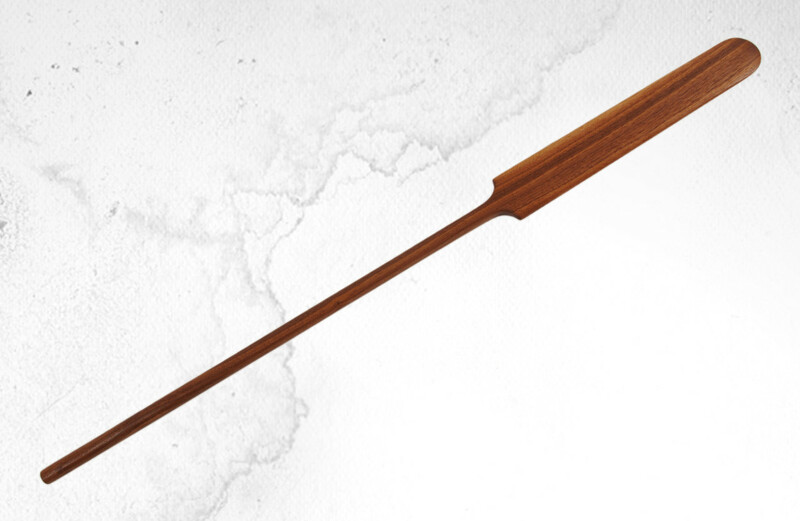 The stick is a versatile and sometimes also indispensable training device. Whether as an aid for body weight exercises or as a weapon, for young children to measure their strength, at an old age as a walking aid or in the tropics as a means of defence against snakes. Hanbo > Bokken / Katana. 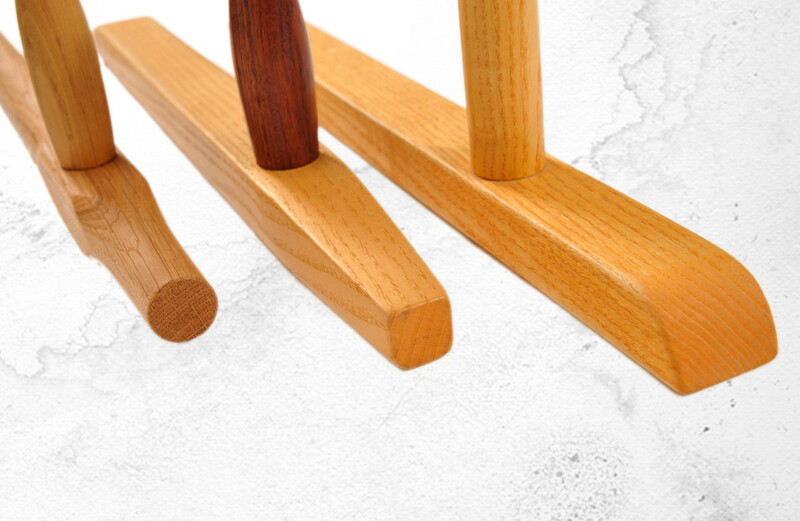 Yet not all types and shapes of wood are suitable for tough kumites! colour / type of wood? 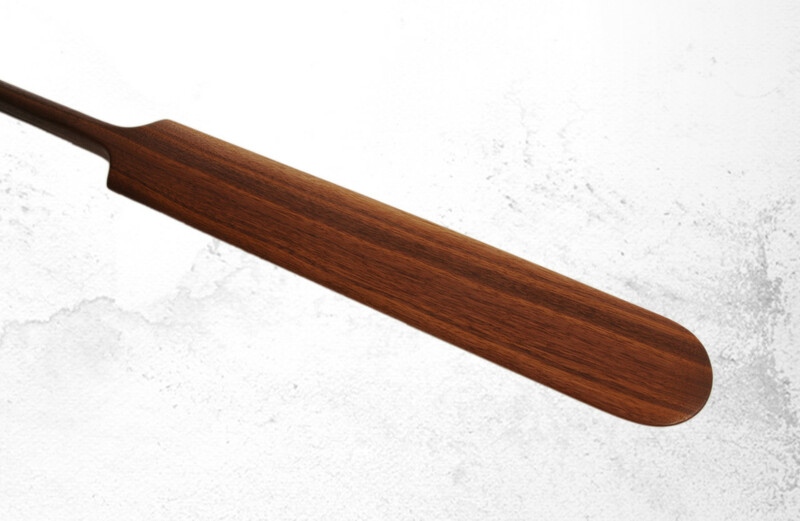 Fine surfaces and straight grown wood make this paddle not only durable but also give it a really high quality appearance. The shape of the Mono Uchi can be chosen and decoration on the handle ends are also possible. 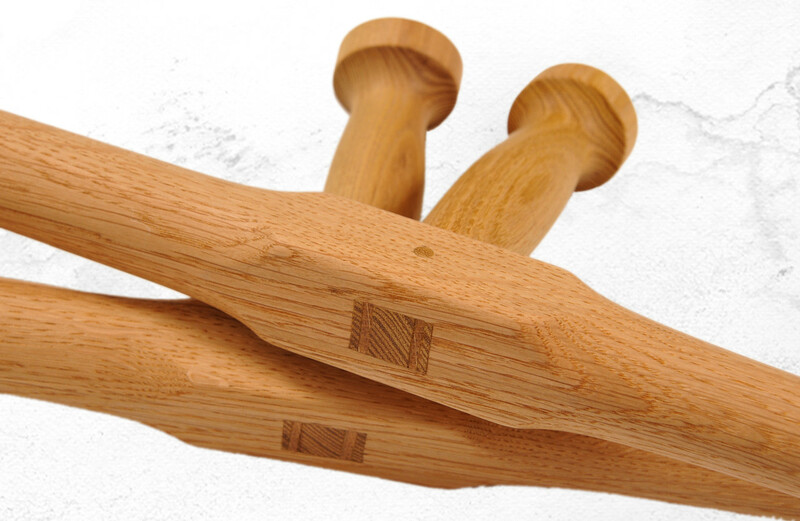 Paddles are typically known as Okinawan wooden weapons. And this isn’t surprising when you consider that it is an insular race and all martial arts influence originates from other coastal races. In principle, this converted every day item enables the same shapes and techniques as with Roku-Shaku-Bo. Besides that, the Mono-Uchi has an increased power of impact and the Saki can be used to whip up sand. colour / types of wood? 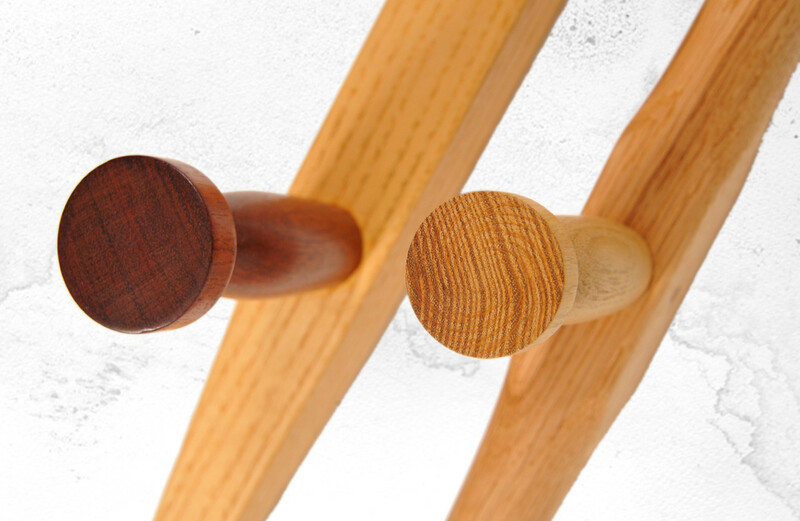 For this weapon, I focus particularly on the wooden connection, which is wedged twice and therefore inseparable and additionally secured with a cotter pin. A beautiful handle profile and individual mono-uchi are further features of this product. The Tonfā probably originated from the crank handles of small stone grain mills, which were first used by nomads and later by the military. Similarly, cranks can also be found on chunken. 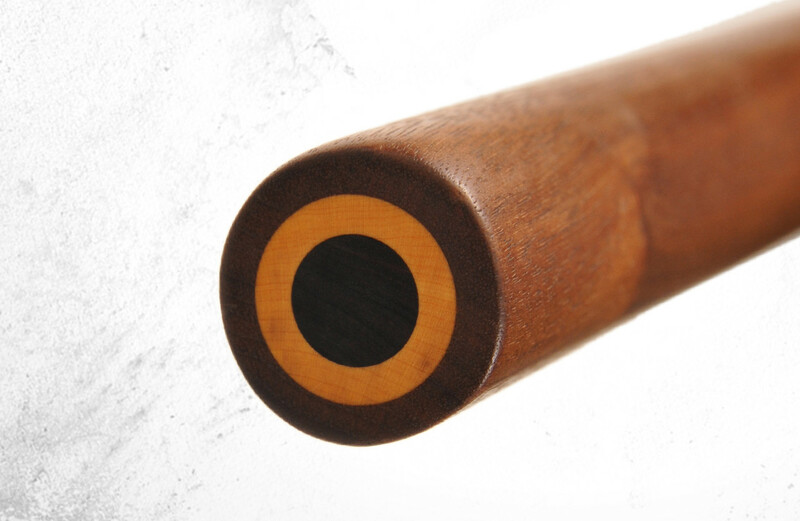 Today, as a baton, it is not only the go-to-weapon used by the police forces but as a widespread kobudo weapon that is traditionally used as a pair. The crank design ranges from functional to opulent. forearm length from thumb to elbow?